Update: They are now available! 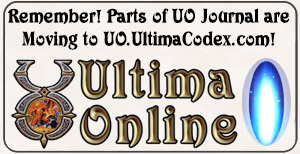 Something else to occupy our time while we wait for Pub 72 for UO – reading about other Ultima-related news. Earlier in the summer, Good Old Games began offering the first of what we hope is many games from the EA and Origin back catalogs, including Wing Commander: Privateer and Ultima Underworld 1 and 2. Yesterday, they added to their Origin offerings with Wing Commander 1 and 2. Now, “Ultima 0”, aka Akalabeth: World of Doom is not being included, however it’s available elsewhere, including an iOS port for Apple’s iPhone, iPod touch, and iPad platform. 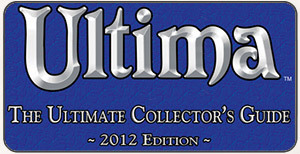 Yes, you can download Ultima IV for free through UltimaForever.com, however you will need to set up DOSBox. One of the advantages that Good Old Games offers is that the games are packaged in a DOSBox environment, allowing you to just download the games and start playing them under Windows without a lot of effort (my fellow Mac users, there are ways to play these). There is also an iPad remake of Ultima IV in development. If you want to read more about the early days of Ultima, see this brief Ultima synopsis at Ultima Aiera. The timing of this is very interesting, just as we head into Ultima Online’s 14th Anniversary, and the expected high resolution artwork update.